$12.081 million on -unknown- screens. Steve Carell lets out his inner Jim Carrey in 2007’s Dan in Real Life - but not the manic comedic Carrey. No, Life places Carell in the “comedian shooting for more dramatic material” vein. Even though Life is a comedy, it’s such a quirky, sensitive one that it doesn’t fit in with the broader concept of that genre. 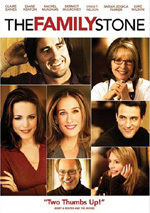 Life casts Carell as Dan Burns, a newspaper advice columnist and widowed single parent of three daughters: Jane (Alison Pill), Cara (Brittany Robertson) and Lilly (Marlene Lawston). They range in age from 10 to 17, and all that estrogen under one roof creates challenges and tensions. These exacerbate a bit when they go on a New England trip to visit Dan’s parents, siblings and various children. During a visit to a local bookstore, Dan encounters Marie (Juliette Binoche), a babe with whom he bonds over coffee. Dan seriously falls for her but she tells him she just started a new relationship. And there’s your rub, as it turns out that Marie’s dating Dan’s brother Mitch (Dane Cook). Of course, this doesn’t sit well with Dan, especially since it becomes increasingly clear that Marie maintains feelings for him as well. The movie follows their tortured path toward possible romance and all the twists along the way. Here’s the biggest praise I can throw toward Life: I liked it more than I expected. I thought it’d be chock full of forced whimsy and quirkiness. While some of those elements appeared, it wasn’t as nauseating as I anticipated, and it actually entertained at times. Probably most of the credit for that goes to Carell and Binoche. The former doesn’t exactly stretch his talents here since his portrayal of Dan favors the comedic side of things, but Carell does manage to make the role amusing and entertaining. He lends a fairly real side to the comedy and helps carry the movie in a satisfying way. My praise for Binoche comes as more of a surprise since I’ve never much cared for her in the past. I still can’t quite believe that she won an Oscar for her weepy turn in The English Patient, and I don’t remember any of her work that I actually did like. However, Binoche works pretty well here. She looks really good, and she makes Marie likable and endearing, even if her accent remains awfully dodgy; I never could quite figure out her geographical origins. Despite these positives, Life turns too cloying and sentimental for its own good. It packs less quirk than I anticipated but goes for the whimsical side of emotion far too much of the time. We’re subjected to shot after shot of this faux charming and lovable family that they quickly get on our nerves. Which connects to another problem: the film’s thinness of story. Truly, there’s probably enough material here to fill an hour of TV. When it attempts to stretch out to a 98-minute feature film, things get tedious and slow. How do the filmmakers attempt to flesh out that time? They throw in lots and lots of family activities. Crossword puzzle contest! Hide and go seek! Dance aerobics! Touch football! Talent show! Yeesh – one or two of these segments would have been bad enough, but the absence of creativity on display makes them much more problematic. Especially since it’s so totally obvious that they exist for little reason other than to take up space. Very few of the segments advance the story or further the characters in any way. Instead, they act as placeholders to make the movie run more than 45 minutes. And that’s too bad, as Dan in Real Life does boast some charms. It offers a good cast, and they help make matters mildly enjoyable. Unfortunately, the movie runs too long and comes with too little overall charm to make it anything more than generally tolerable. Dan in Real Life appears in an aspect ratio of approximately 1.85:1 on this Blu-ray Disc. I felt pleased with the movie’s image. Overall definition looked good. A few slightly soft shots materialized, but these remained minor, so the majority of the flick demonstrated positive clarity. No issues with moiré effects or jagged edges materialized, and source flaws remained absent. Life went with a warm, earthy palette. It tended toward browns and reds that looked full and rich throughout the flick. The colors matched the New England settings and seemed solid. Blacks were deep and dense, while shadows were well-developed and clear. This turned into a satisfying presentation. If Life had boasted anything other than a subdued, dialogue-heavy Uncompressed PCM 5.1 soundtrack, I’d have fallen off my chair. The soundfield concentrated heavily on the forward channels, and speech dominated. Music showed strong stereo imaging, and some minor environmental effects opened up the film to a degree. Surround usage remained restricted, as the rear speakers gave us a modest sense of atmosphere but not much more most of the time. I think the flick’s showiest scene came from doors closed in the surrounds. Audio quality always pleased. Dialogue was concise and natural, and effects fell into the same domain. Since these elements played a small role, the track didn’t demand much for them, but they seemed accurate and full. Music was the best aspect of the mix, as the songs and score were rich and dynamic. The track was good enough for a “B-“ but that’s about it – and that grade might be too high given the sonic limitations on display. How did the Blu-ray compare to the original DVD? Audio showed a little more depth, though the restricted nature of the soundfield meant minor improvements at best. Visuals worked better, though, as the Blu-ray was more accurately defined and more natural. This wasn’t an enormous step-up, but it did work better than the DVD. The Blu-ray duplicates the DVD’s extras, and we open with an audio commentary from writer/director Peter Hedges. He offers a running, screen-specific chat that looks at how he came onto the project, script, story and characters, cast and performances, editing, sets and locations, music, cinematography, visual motifs, and a few other details. Hedges manages to provide an informative commentary. While he indulges in the usual praise and happy talk, these elements don’t dominate. Instead, the director tells us a fair amount about the production and makes it an enjoyable ride. Two featurettes follow. Just Like Family: The Making of Dan in Real Life goes for 15 minutes, one second as it mixes movie clips, behind the scenes materials and interviews. We get notes from Hedges, writer Pierce Gardner, producers Brad Epstein and Jon Shestack, and actors Steve Carell, Juliette Binoche, Brittany Robertson, Emily Blunt, Alison Pill, Dane Cook, John Mahoney, Amy Ryan, Frank Wood and Norbert Leo Butz. 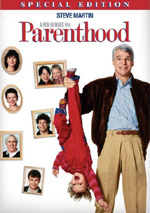 “Family” looks at aspects of the script, story and characters, Hedges’ style as director and the film’s tone, locations and sets, rehearsals and performance challenges, and a few more shoot specifics. Since Hedges covers so much in his commentary, we find a fair amount of redundant material here. There’s also quite a lot of praise for the film and those involved, so except a high level of happy talk. We learn a little in this decent piece, but it’s not anything particularly memorable. Handmade Music: Creating the Score lasts nine minutes, 50 seconds and involves Hedges, Epstein, music supervisor Dana Sano, and composer Sondre Lerche. Handmade” offers a quick look at the movie’s score and songs. Like “Family”, this one comes with a lot of puffy comments, but at least it stands on its own better since it touches on material not heavily covered in the commentary. There’s some decent information to be found here. 11 Deleted Scenes fill a total of 20 minutes, nine seconds. These cover… not much of anything. Life is already padded in its theatrical version, so more of the same wouldn’t add anything positive. Many are simply extended editions of existing sequences. God knows we don’t need an even longer version of the family talent show; it’s already unbearable. The most interesting clip shows Dan’s “skills” as a parenting expert, but even it doesn’t do much for me. We can watch these with or without commentary from Hedges. He provides some notes about the scenes as well as the reasons he cut them. Hedges offers good insights in this helpful collection of remarks. More cut footage shows up via a three-minute, 26-second collection of Outtakes. This reel includes the usual sort of goofiness and goof-ups that populate 99 percent of this kind of piece. It’s not interesting to me at all. The disc opens with ads for WALL-E, Enchanted and Becoming Jane. No trailer for Dan in Real Life appears. Although I liked Dan in Real Life more than I expected, that comes as faint praise. The movie does come with some quality elements, but it gets bogged down in a thin story and too much filler. The Blu-ray provides strong picture and decent audio along with a smattering of generally useful supplements. I have no complaints about the disc, but the film itself is too erratic to succeed.